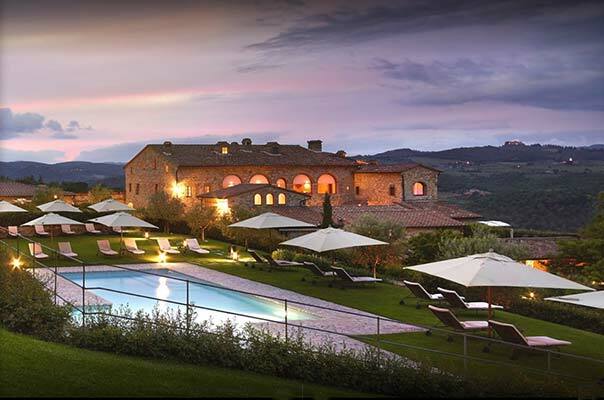 In the heart of the world-famous wine-growing region of Chianti, between Florence and Siena, lies this 5 star dream hotel. 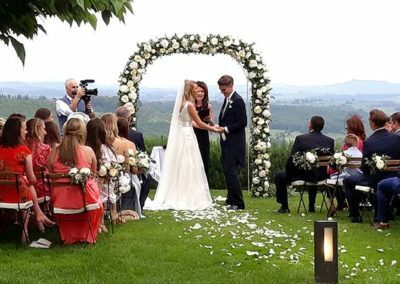 The originality and beauty of the Hotel Le Fontanelle provide a charming setting for your wedding or your private party. You will appreciate the discretion and the attentive hospitality of the staff. 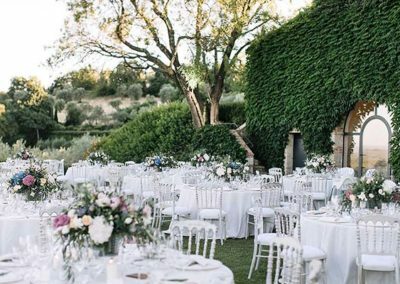 A perfect place for a perfect party. 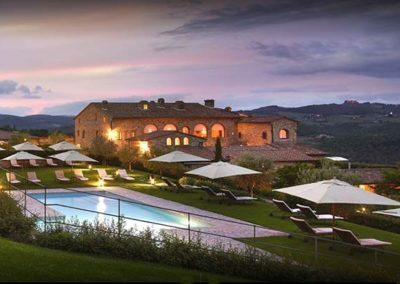 The building, dating back to the Middle Ages, is situated on a hill and offers unforgettable views all the way to Siena, no matter which cozy corner of the hotel you are in. 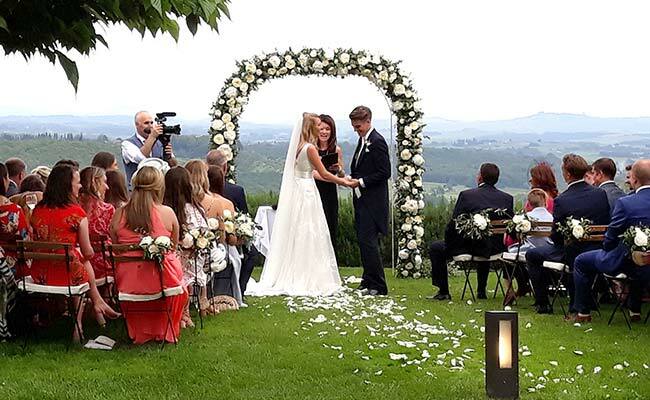 The wedding (symbolic or evangelical) can take place in different areas of the estate. 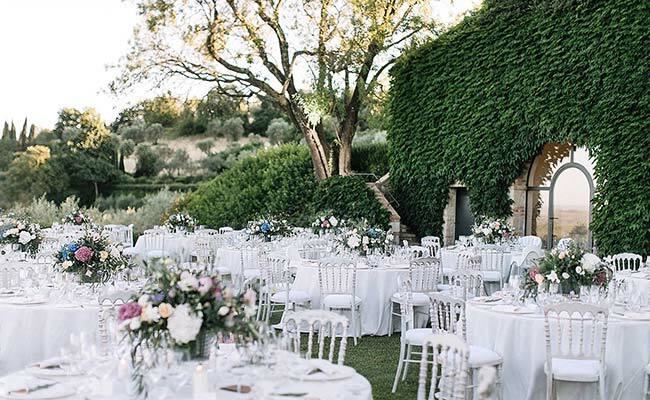 The choice is not easy between rose scent, rosemary, lemon trees or olive groves. Let this beautiful place enchant you and you will see, you will never look for another place to stay.